Welcome to the Body-Mind Integration workshop with Dr Frederick Swann! Program commences 5:30pm for a 6pm start Friday and concludes 7pm Sunday. A $100 discount applies for all repeat participants. This program has been developed for people who want a deeper understanding of how their body and mind work together, not only from a theoretical framework but through embodied experience. Combining the sciences of neuropsychology and neurophysiology, and with the direct physical and energetic applications of Network Spinal Analysis, this program will deliver a foundation for conscious development of human potential. New to this program will be a the inclusion of four follow up sessions that can be attended live, or via remote access that will allow you to continue the integration over the four weeks following the program. These sessions will take the form of phenomenological investigation into your own experience, and the shared experience of the group to deepen your understanding of the energetic field and how it informs you. Learn the four essential dimensions of reality that affect you everyday and govern your life. Discover your own ‘default’ dimension, and break the limitations of how you currently filter and interpret reality. Learn how to communicate more effectively with your partner, friends, co-­workers. Illuminate your blind spots and cultivate a broader vision of life. Experience a powerful shift of perspective to more deeply understanding yourself, others and our world. Explore the effect that shifting your attention has on the flow of your Energy. Discuss how whole brain integration is essential for well-being. Examine the practical applications that emerge from the central concept of integration—the linkage of differentiated elements with one another. Presence is emerging as a central mental state that appears to be at the heart of internal and interpersonal well-being. Hear the latest scientific findings about the power of presence to promote relational and physiological health and learn how to promote presence in your mental life. Harnessing the power of neuroplasticity to re-wire your brain and body to function at your best. 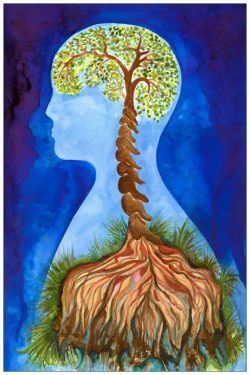 Develop a deeper understanding of how your neurology and energy system are inter-related. Discover the Basic States of Consciousness and why they’re essential to many areas of life. Gain a deeper understanding of the relationship of frequency and states of consciousness – through the lenses of brain wave frequencies and sound. Participate in a series of experiences that will enable you to traverse through states, immersing you in an embodied experience to really feel what these states feel like in your body and in your awareness. Understand how the different states can be utilised to enhance your health and your performance, from the science of brain frequencies to the resonance of sound. Many challenges associated with health, trauma, addictions are state dependant – and developing the capacity to shift one’s own state is an invaluable tool in overcoming these challenges. Further development of state mastery enables access to flow states, which enhance creativity, performance and conscious awareness. Understand the essential role that Conflict plays in development, and understanding the different choices we are presented with in moments of Conflict, and the key attributes required to handle Conflict effectively. Learn a simple tool to understand the underlying Energetic Process that governs the outcome of Conflict Resolution, so that you are empowered to achieve the optimum resolution for all parties concerned. Learn the 4 Primary Internal Conflicts that must be resolved in order to be able to effectively resolve conflict effectively in our relationships and communities. Resolving conflict in our fast-paced interconnected world requires transformational change in our traditional families, communities, and organisations; and thus learning how to resolve conflict and manage change has become the educational imperative for perpetuating our species and sustaining the planet, while also helping people live a happy, productive, and meaningful life. Learn the underlying energetic principles that underlie the way in which systems interconnect and interrelate, and develop a capacity to resolve conflict with more grace and ease. Over the course of the program, the time will be divided between group learning and discussion about the topics above, as well as Integration of the concepts with Direct Experience – feeling, moving and breathing whilst receiving a series of NSA Entrainments. Immersion in the experience of Group Entrainments has a deeper and more powerful effect than regular visits, and the cumulative effect of a series of sessions over the weekend will open the body and the energetic field in ways that has to be experienced to be understood!